A lucky group of pups were just saved from meeting a horrific fate. In the first reported case of such a rescue, the Humane Society International (HSI) saved 23 dogs from South Korea, where they were being bred for human consumption. Though the practice sounds grotesque and downright despicable, in South Korea dog farming and consumption, though controversial, is still relatively common. Fortunately, the HSI was able to locate this group, but much more needs to be done to stop the practice completely. On Monday, the first 12 dogs arrived at the Animal Welfare League of Alexandria in Virginia, and the rest arrived Tuesday. All 23 dogs will get veterinarian checkups before being placed in adoption agencies. The HSI located the nearly two dozen dogs on a dog farm in Ilsan, South Korea, where they were being bred specifically for meat. 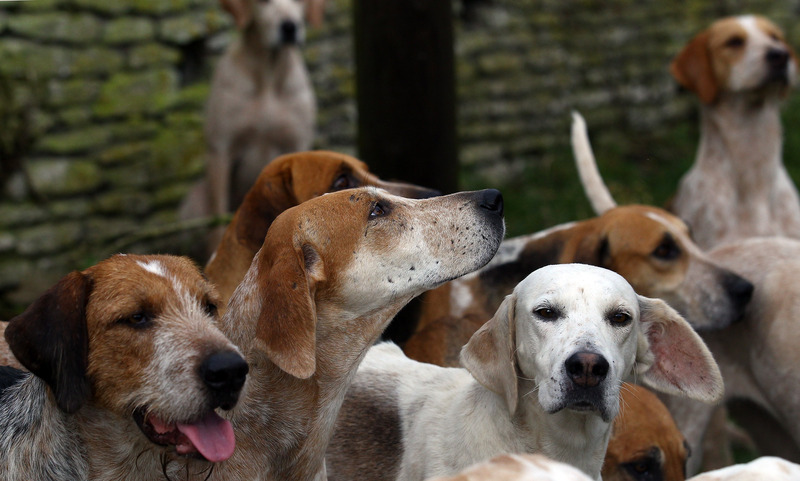 According to Kelly O'Meara, HSI director of companion animals, the farmer surrendered the dogs without a fight after expressing a personal love for the species. He agreed to the HSI's offered compensation, which he said he'd use to develop his blueberry business instead. While details of the interaction are unclear, his lack of opposition seems to suggest that these farmers are just doing what's been done for centuries. Today, the number of people who actually consume dog meat in South Korea is relatively small, and though it dates back hundreds of years, dog consumption is not believed to have deep ties to Korean culture. Nevertheless, the dog meat industry is estimated to be worth about $2 billion, according to the Animal Welfare Institute. HSI has been working with local groups across Asia to raise awareness of the dog meat trade in South Korea, and this rescue mission is the campaign's first major victory. Dog consumption is not limited to South Korea, but O'Meara told Agence France-Presse (AFP), "South Korea is unusual because it actually farms dogs to supply demand," whereas other Asian countries use feral dogs. According to her, between 1.2 million and 2 million dogs are consumed in South Korea every year, and a large portion of that is supplied by farms. Killing man's best friend for consumption is just one cruel aspect of the dog meat trade. While on the farms, dogs are kept cramped inside rusty cages and fed a vegetable-based diet that they're barely able to survive on. The appalling conditions of these farms are comparable to that of a slaughterhouse for farm animals. Though HSI's campaign succeeded in rescuing 23 dogs — the first ever to be rescued from a meat farm — many more won't be so lucky. If you want to help raise awareness of the dog meat trade and curb the practice, sign HSI's pledge to help or donate to its campaign. Other organizations working to stop the trade include KoreanDogs.org, the Animal Welfare Institute, and In Defense of Animals.